Let’s get down to brass tacks: skateboarding years are like dog years. While it seems like it was only yesterday that a steady IV of soda and whatever crunchy snacks were $0.99 or less were enough to fuel an entire day of skating, a maturing generation of skateboarders are now bracing themselves for the seemingly inevitable joint pain that comes with that first kickflip of the day. 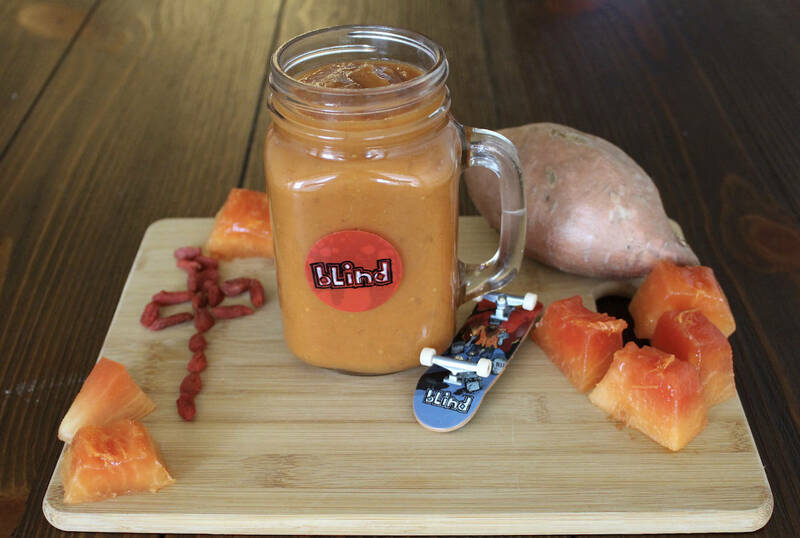 If our goal as skateboarders is to age like Koston or Mountain, then it’s time we started fueling our bodies in a way that will allow us to keep shredding well into our golden years. 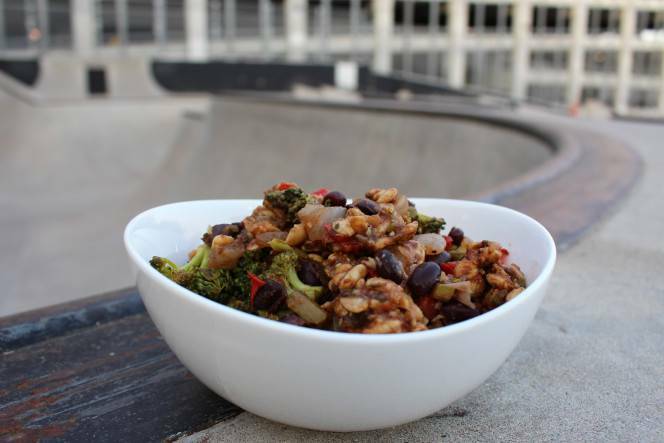 With that in mind, I present “Salad Grinds and Bean Plants”: a collection of easy, healthy recipes designed to keep skateboarders satiated and shredding (while also nerding out on skate history). The recipes in the series (probably) won’t give you Appleyard’s buttery style or Nugget’s technical precision, but a few balanced, home-cooked meals instead of from-the-box mac and cheese will do wonders to keep your aging carcass in shredding condition. If you don’t believe me, just check out all the pros on Instagram who are now making a habit out of cooking their own wholesome meals; if you’re interested in eating healthier to skate longer, you’re in good company. And if you’re new to the kitchen, don’t worry: these recipes don’t involve a lot of crazy ingredients or a ton of know-how (in fact, most of these recipes should have less than ten ingredients). SG&BP’s recipes are easy to follow and all crafted with the goal of giving you the right nutrients you need to keep skating at the best of your abilities, avoiding the pitfalls of empty calories and lab-crafted ingredients that can’t be pronounced by the human tongue. The recipes also cover just about any time of the day. 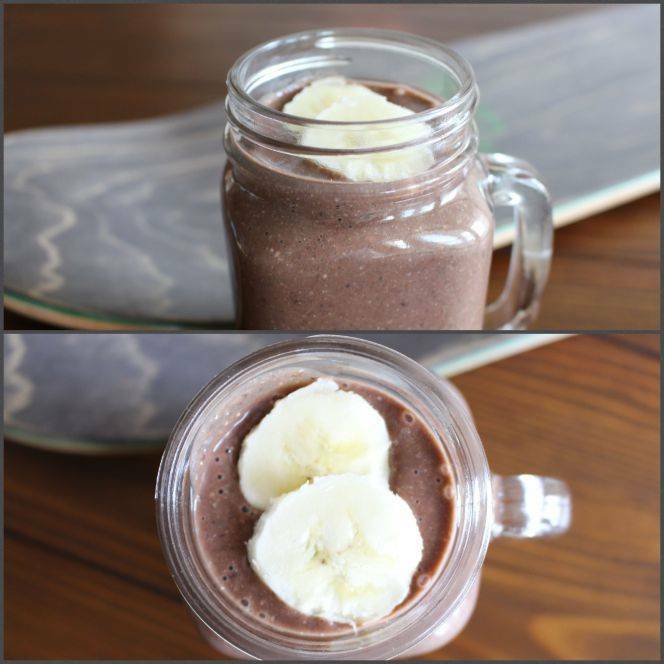 Regardless of when you plan to skate, Salad Grinds and Bean Plants is your trick tip guide for smoothies; energy bars, and juices for pre-session fuel; easily-transportable snacks and munchies to whip out when taking a mid-session break; and quick and hearty dinners to help you refuel and heal after throwing yourself down some stairs for an afternoon. There are even desserts to celebrate the last hammer of the day! As a bonus, the majority of these recipes involve ingredients that can be easily bought in bulk, meaning that the more familiar you are in the kitchen and the more you cook, the cheaper these meals become over time. To put it simply, these recipes will help save your knees while also saving you some dough. 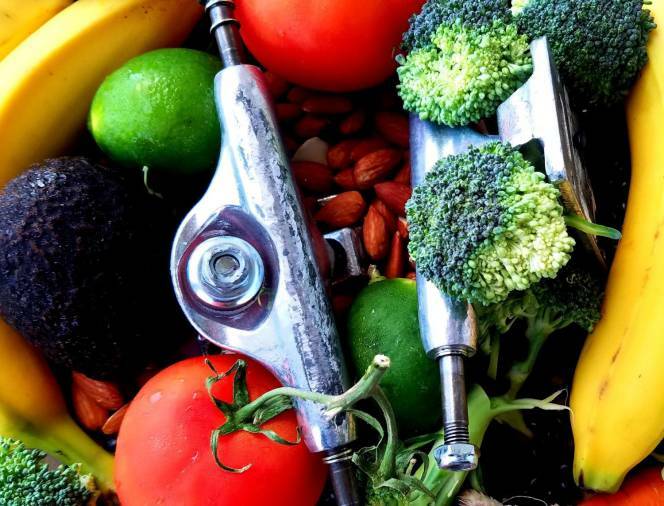 So, whether carnivore or herbivore, rail-hucker or flatground enthusiast, novice or legend, Salad Grinds and Bean Plants is here to help you find nourishment both inside and out, whether before, during, or after some quality time with the board. Louie Lopez shows why Mob is the grippiest in the game in this new commercial. Have look at the minute details that go into every sheet.